Tasmanian grown and freeze dried cherries and Tasmanian native pepperberries are added to wonderful sea salt flakes that is harvested and processed on the east coast of Tasmania. 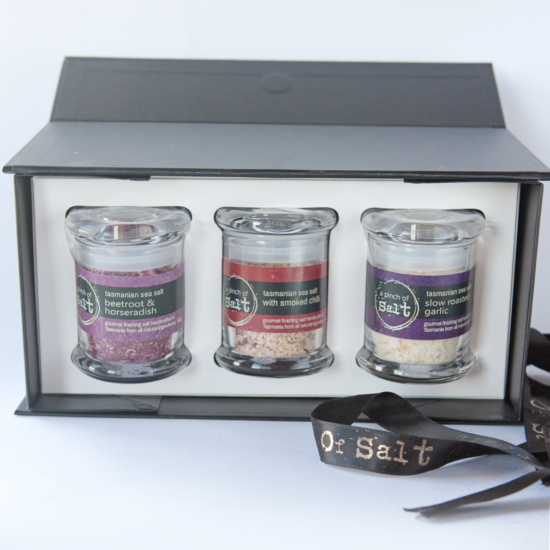 A beautiful salt that adds to and enhances the flavour of your dishes – both sweet and savoury. You must try this little jar of salty, sweet, spicy goodness. 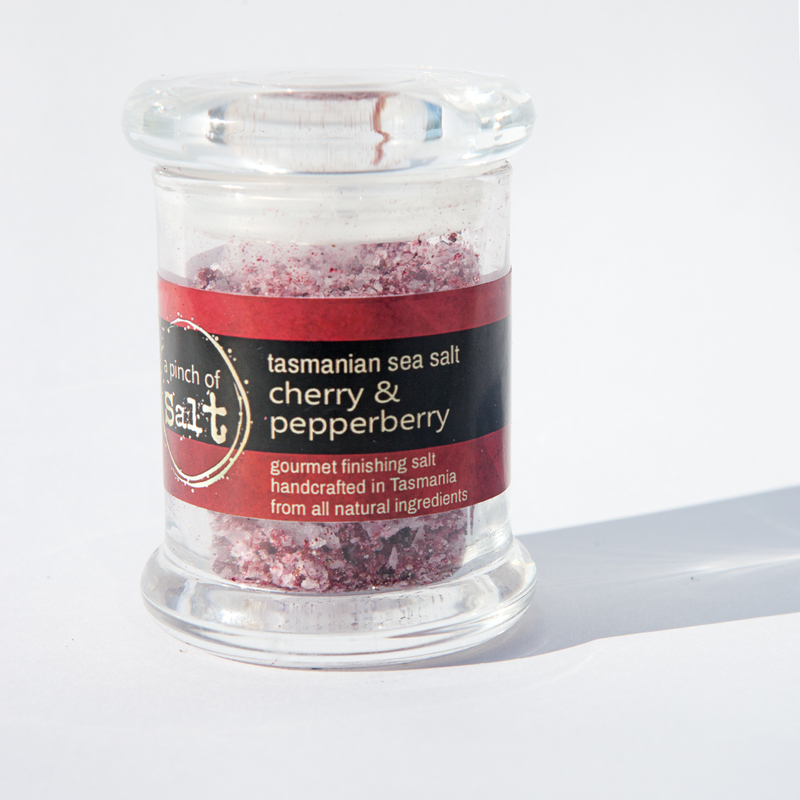 This wonderful artisan salt blend is lovingly handcrafted in Tasmania from all Tasmanian ingredients. 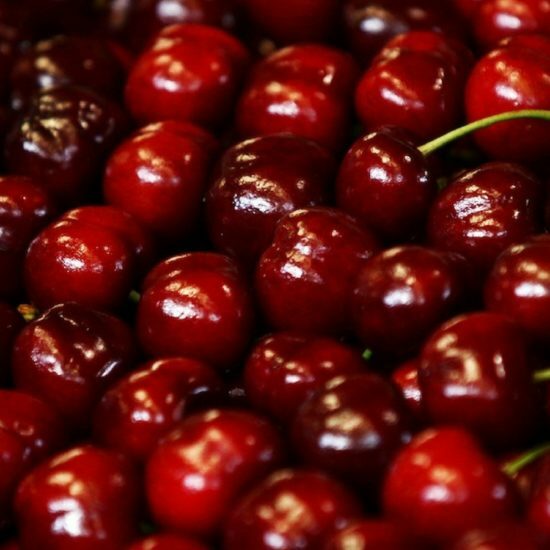 Tasmanian grown cherries are freeze dried to retain the maximum possible taste and mixed with roughly ground Tasmanian native pepperberries. 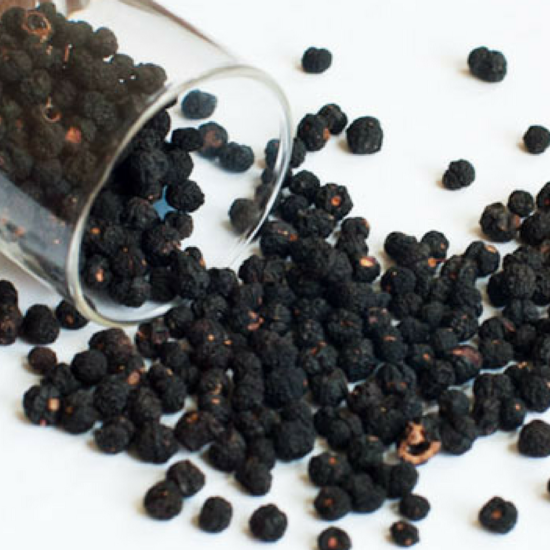 The pepperberry (Tasmanian lanceolata) is native to Tasmanian. 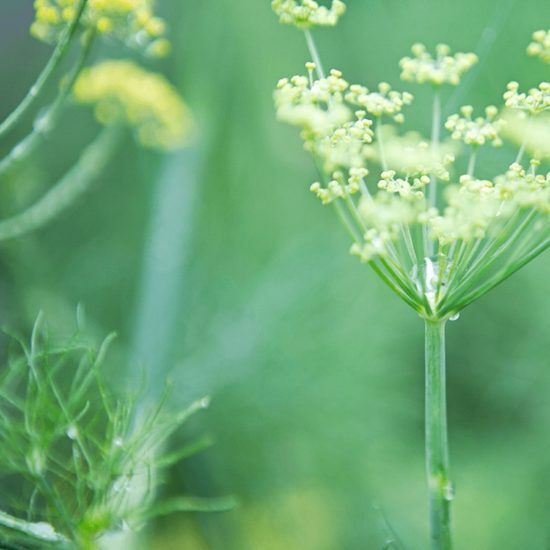 The berries have a sweet peppery taste that lingers on the taste buds. They have a totally unique, spicy and “bitey” flavour that cannot be replicated by any other spice. 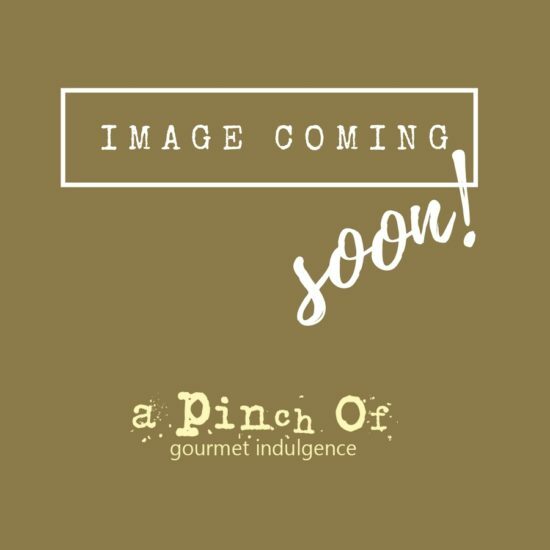 Both are used to infuse the amazing sea salt that is harvested and processed on the east coast of Tasmania to create a unique taste sensation. 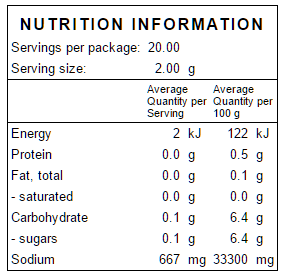 This 100% natural gourmet salt doesn’t contain any artificial flavours or colours, flowing agents, minerals, or anti-caking agents. 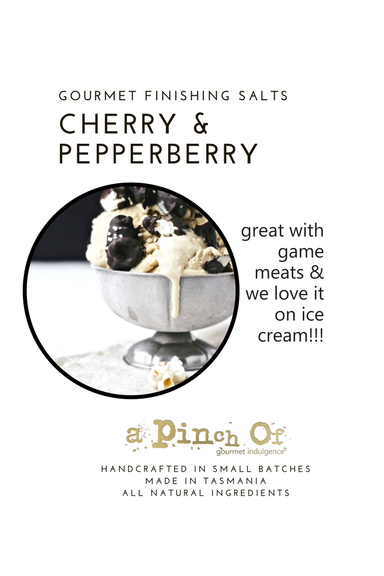 It is particularly delicious sprinkled on your steak or as a finishing salt with duck, venison and other game meats. This salt is so versatile that is can be used with meat, seafood, vegetables, and fruit. Try it on ice cream and caramel sauces. And sprinkled on anything made with dark chocolate. 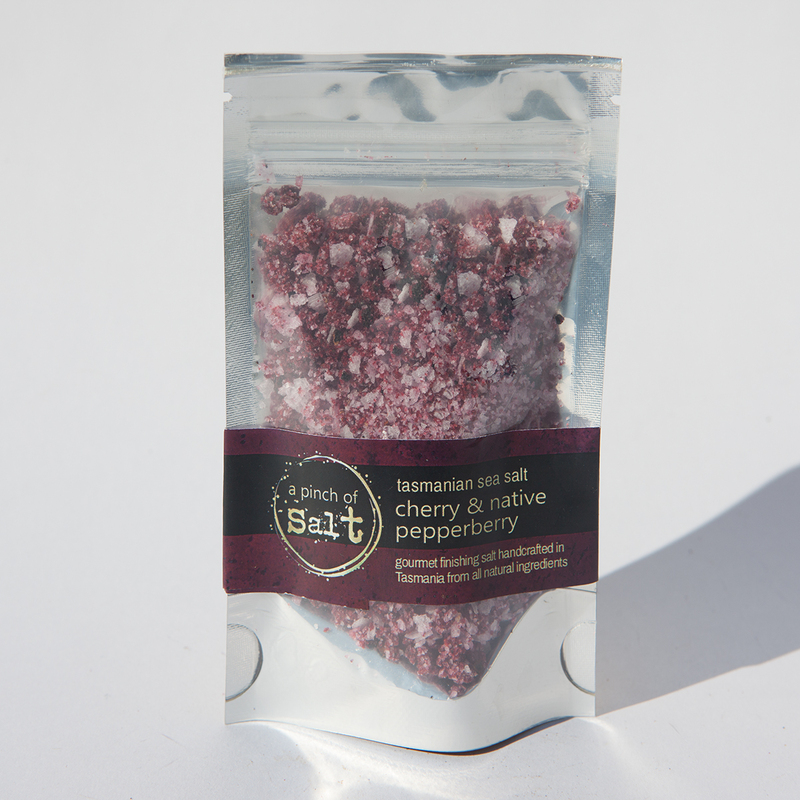 While most often used as a finishing salt, the cherry and pepperberry salt blend can also be used in cooking. 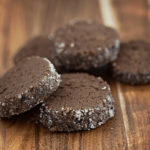 See the recipe for a delicious and unique salty sweet chocolatey shortbread here.